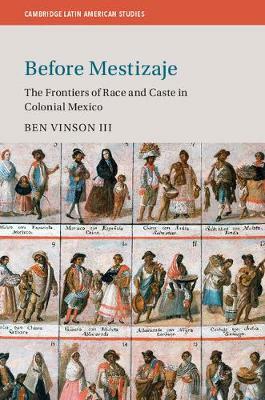 This book opens new dimensions on race in Latin America by examining the extreme caste groups of colonial Mexico. In tracing their experiences, a broader understanding of the connection between mestizaje (Latin America's modern ideology of racial mixture) and the colonial caste system is rendered. Before mestizaje emerged as a primary concept in Latin America, an earlier precursor existed that must be taken seriously. This colonial form of racial hybridity, encased in an elastic caste system, allowed some people to live through multiple racial lives. Hence, the great fusion of races that swept Latin America and defined its modernity, carries an important corollary. Mestizaje, when viewed at its roots, is not just about mixture, but also about dissecting and reconnecting lives. Such experiences may have carved a special ability for some Latin American populations to reach across racial groups to relate with and understand multiple racial perspectives. This overlooked, deep history of mestizaje is a legacy that can be built upon in modern times.